You are the scoundrel to my princess; the clone to my trooper; the Wookiee to my win; the bounty to my hunter; the rogue to my squadron; the Jedi to my temple; the chosen one to my queen; the C-3PO to my R2-D2; you are the light to my saber. Love you I do. 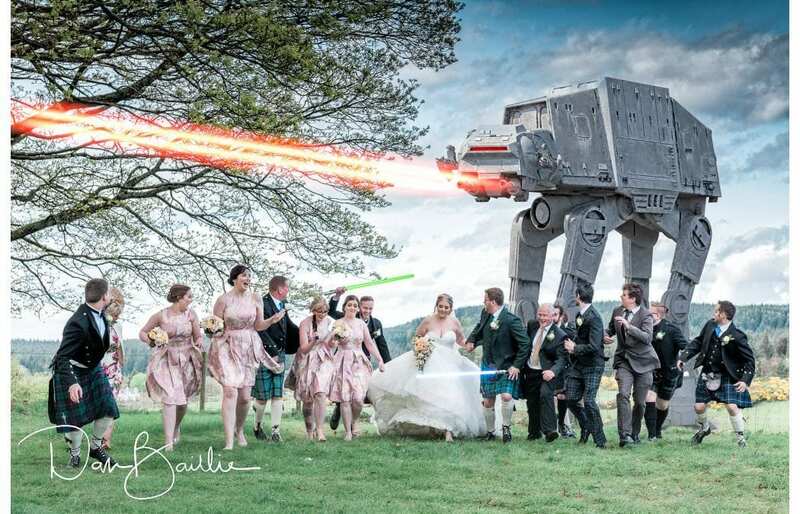 To a Galaxy far far away and back again! 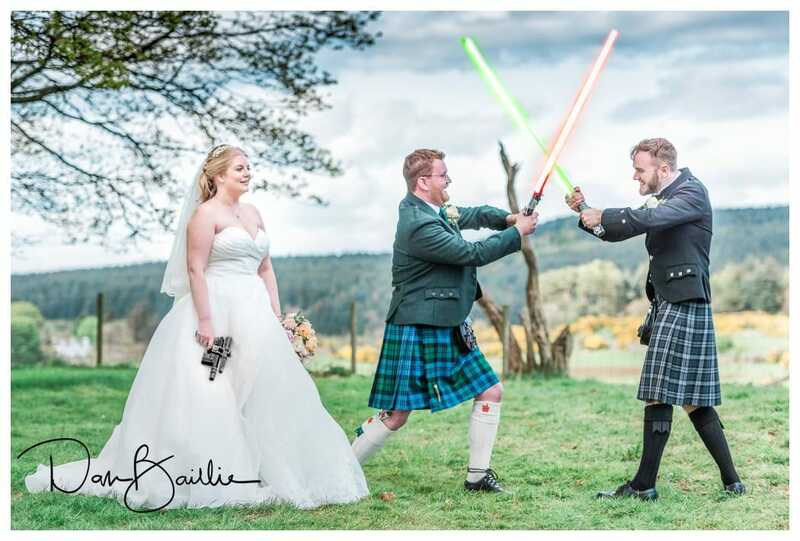 “It’s a Star Wars themed wedding,” said Kayley, then there was a long pause whilst I tried to process this information – thoughts and images racing through my imagination. 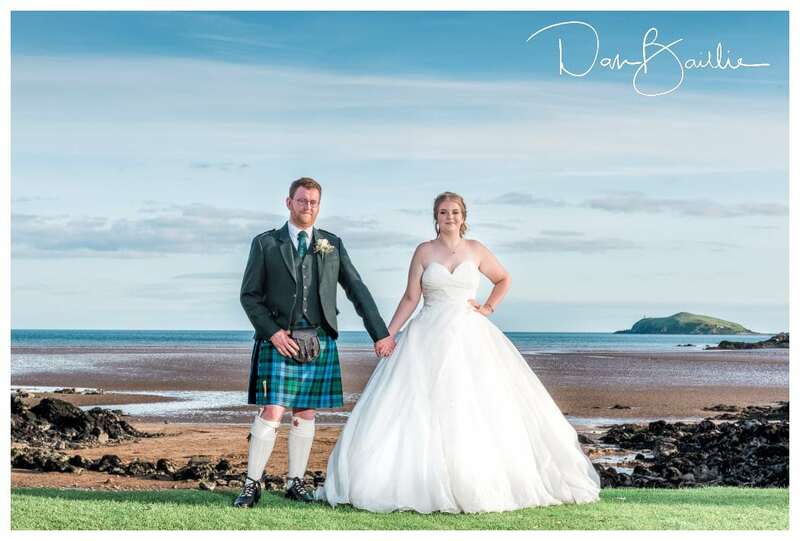 So we booked the date for the wedding and a few months later we met up for the engagement shoot at Rigg Bay in Garlieston. It was fairly early on in the shoot that they broke the news to me. Star Wars was off the menu. 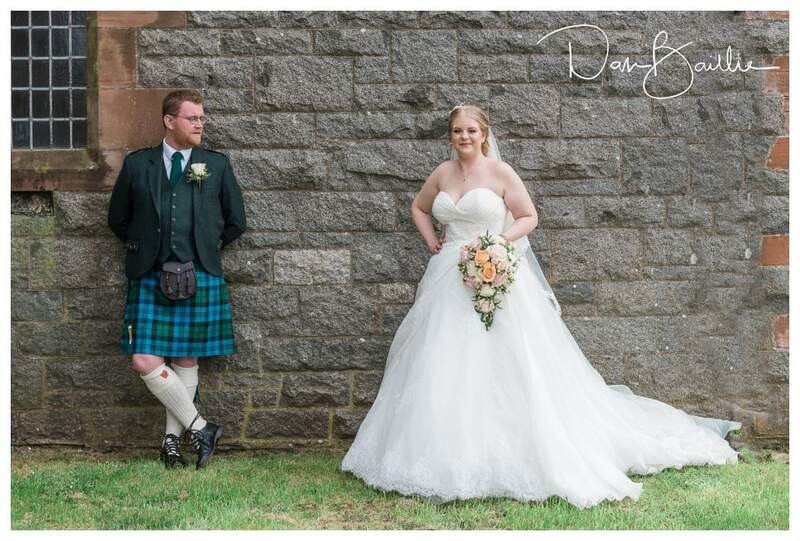 The themed wedding idea hadn’t gone down to well in some quarters and although they were disappointed they had decided that they would have a traditional wedding instead because the main thing was to be getting married. 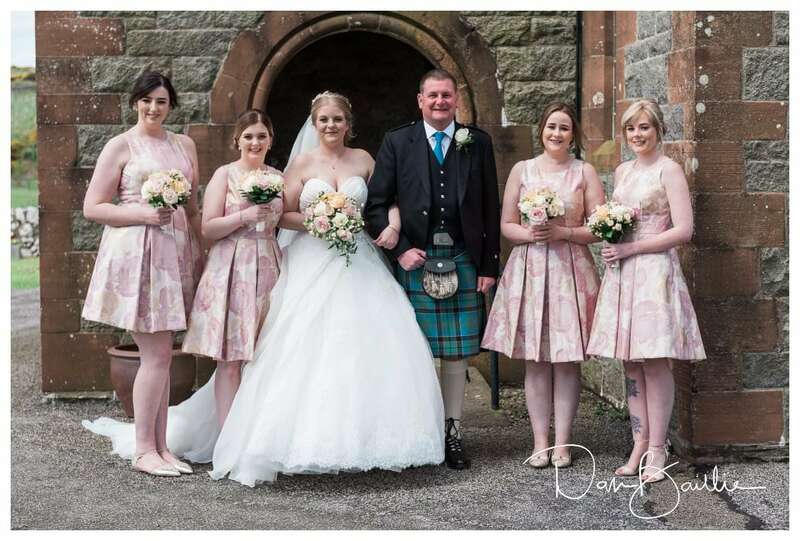 The following year I met up with Kayley and her bridesmaids early on the morning of the wedding at their house in Dumfries. 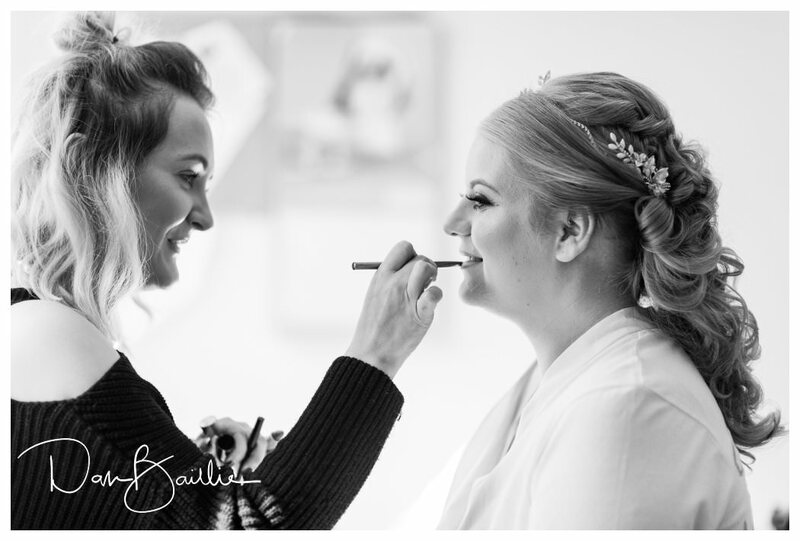 We had a chat and a laugh as the girls had their hair and make-up done and we got some lovely photographs before I headed off to meet up with mark at Clonyard House near Dalbeattie, which was their reception venue, to get a few photographs of the Groomsmen before the wedding ceremony. This done I jumped in the car and drove to Colvend Church which was nearby. 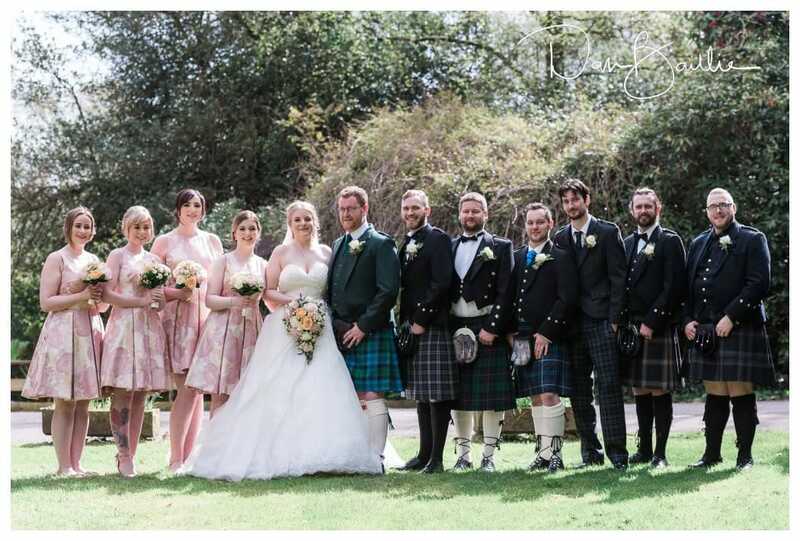 Mark and the groomsmen arrived, the guests arrived and then the bride and bridesmaids arrived. 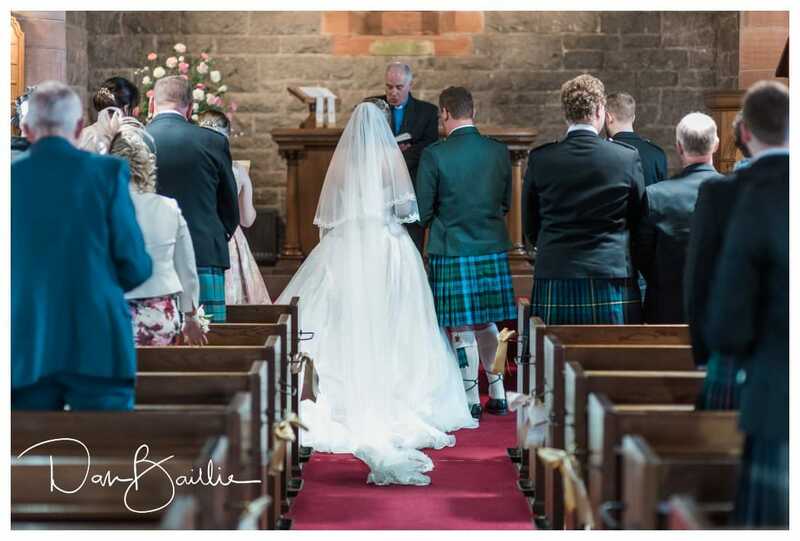 Then there was a beautiful ceremony in the church. 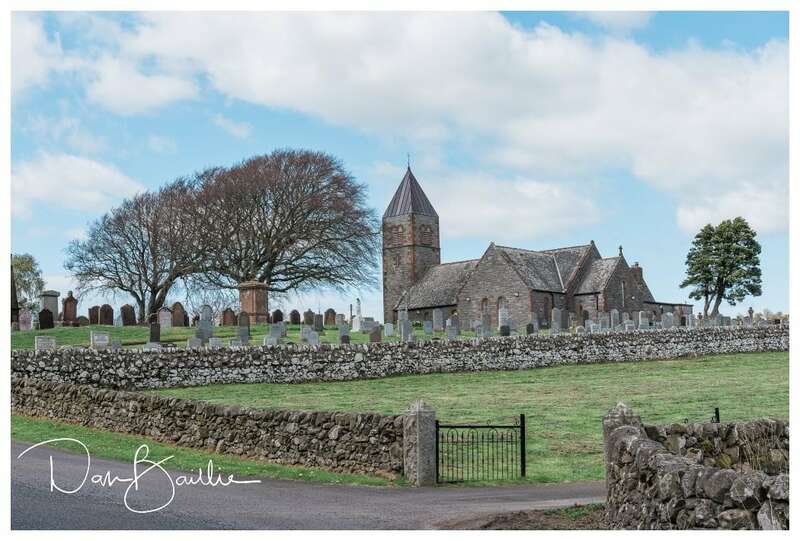 Afterwards, we took some photographs of the bridal party and the newlyweds at in and around the church before heading back to Clonyard Hotel for the afterparty and celebrations. After the formal group photographs, which I always take (because Mum wants them and so does Granny). 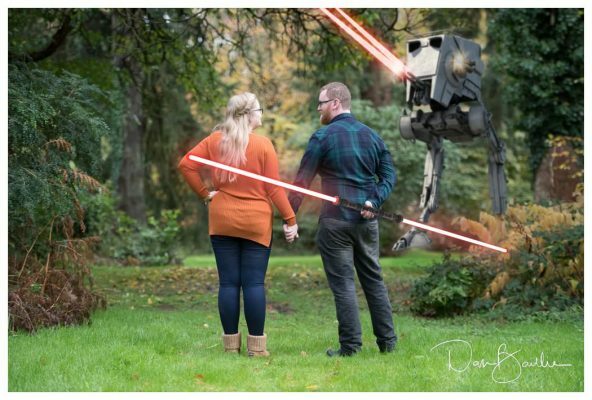 We then had a laugh with some Star Wars-themed photographs. Taking the photographs was hilarious. 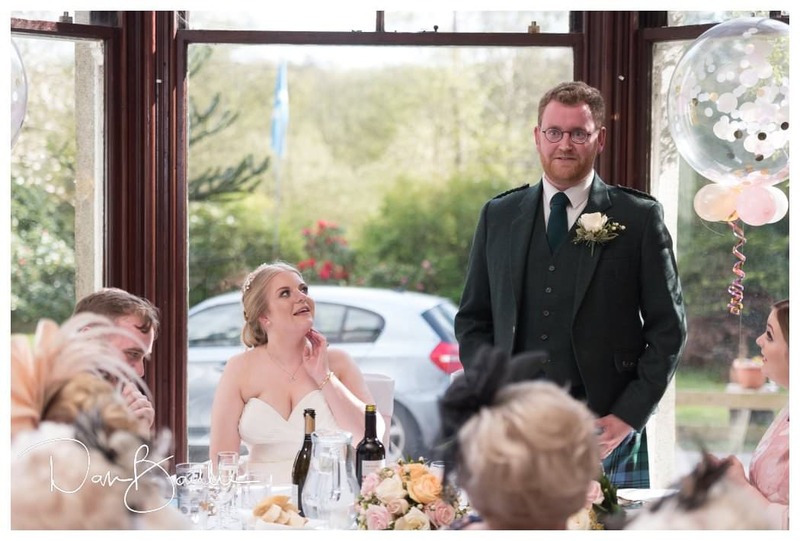 When you have thirty people running away from an imaginary AT-AT or a groom and best man duelling with make-believe lightsabers then believe me it is hard to keep the camera still for laughing! 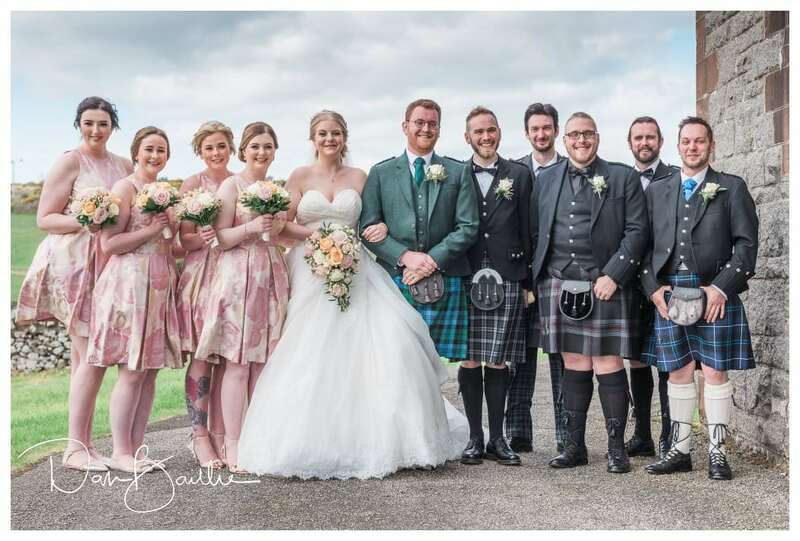 But we got some great images which can be treasured forever and will be fondly remembered by the whole of their wedding party. Being an all action Jedi hero and a rebel Princess is hungry work though and it was now time to take places at the tables for the wedding breakfast. The speeches and cake cutting took place first and then everyone was able to relax and enjoy their meal. Much later on, just as the sun was beginning to set and a while before the evening entertainment was due to start. 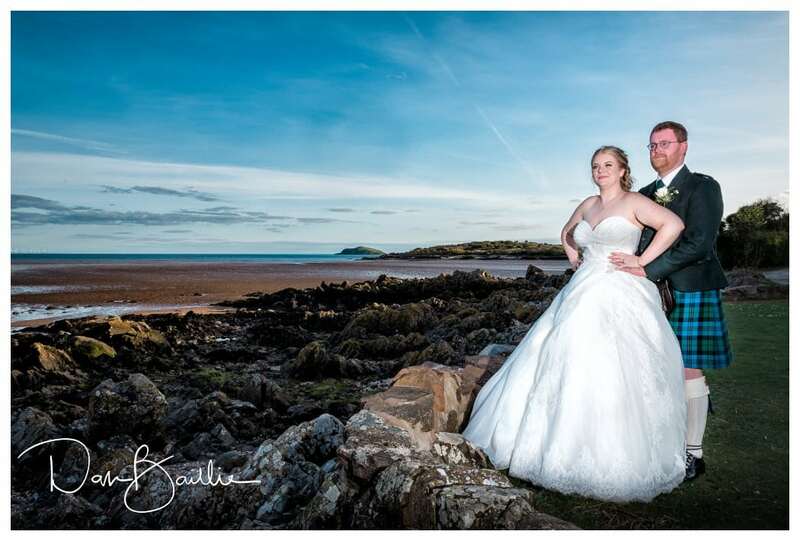 I suggested to Mark and Kayley that we could slip away down to Rockcliffe Beach which was 4 or 5 miles away. So off we went. We took some beautiful photographs and just as we were leaving I saw one more photograph that I wanted to take. “You two stay here,” I said to Mark and Kayley, “I am just going to hop onto the beach to get a different viewpoint” I advised. I then turned and said to my assistant Jamie, that he would also need to climb onto the beach but told him to be very careful and not to drop anything”. He didn’t, but as the words left my mouth I slipped on a wet rock and found myself flat on my back wedged between two rocks. Once I managed to get to my feet I took stock of the damage (two smashed cameras and lenses) and the small rock pool of water that I was standing in was turning red (I am not good with blood, especially my own). I scrambled back to the shore, dumped my broken gear and grabbed my spares and headed back to the beach, I got the shot and we got back in the car and drove back to the hotel. I managed to patch myself up well enough for the first dance (luckily I was only taking photos and not dancing) and a little while later it was time to depart. 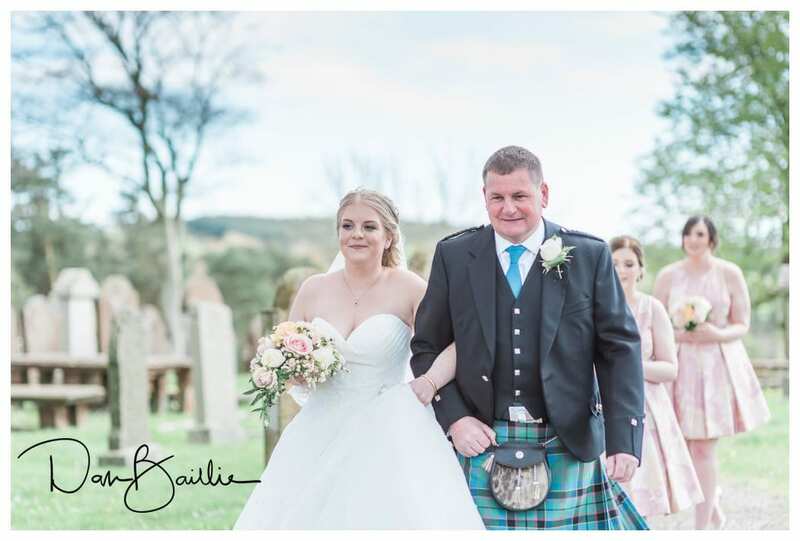 It had been a brilliant (and eventful) day from start to finish and I have no doubt that Mark and Kayley will never forget some of the moments that we shared on their wedding day and their photographs will be the topic of conversation for a long, long time. 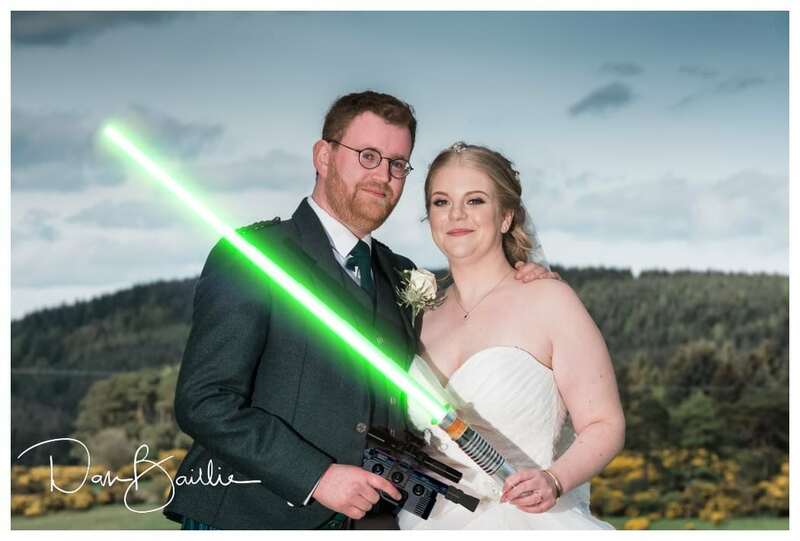 It just remains for me to say that, as Mark and Kayley proved, if you are thinking of marrying a girl who does not like Star Wars then you are looking in Alderaan places! 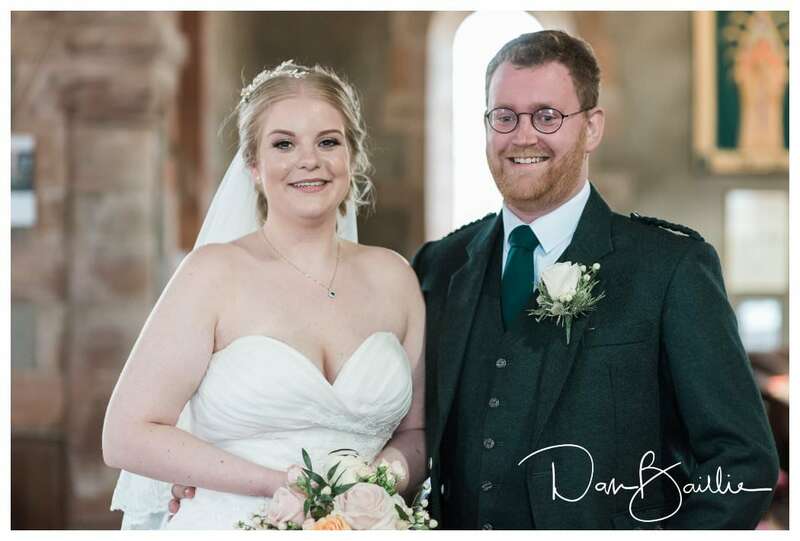 (OK bad Star Wars joke) so here are a few words from Mark and Kayley about their wedding day which may help other couples who are currently thinking about their big day. We originally met at Air Cadets when we were teenagers. We then lost touch and were reintroduced as my best friend is married to one of Mark’s best friends. 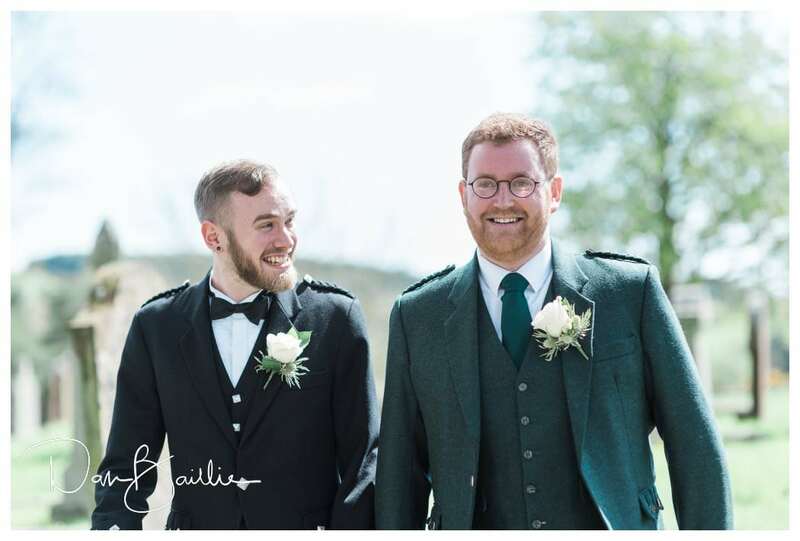 We got together in June 2014 and then got engaged on the 1st of July 2015. 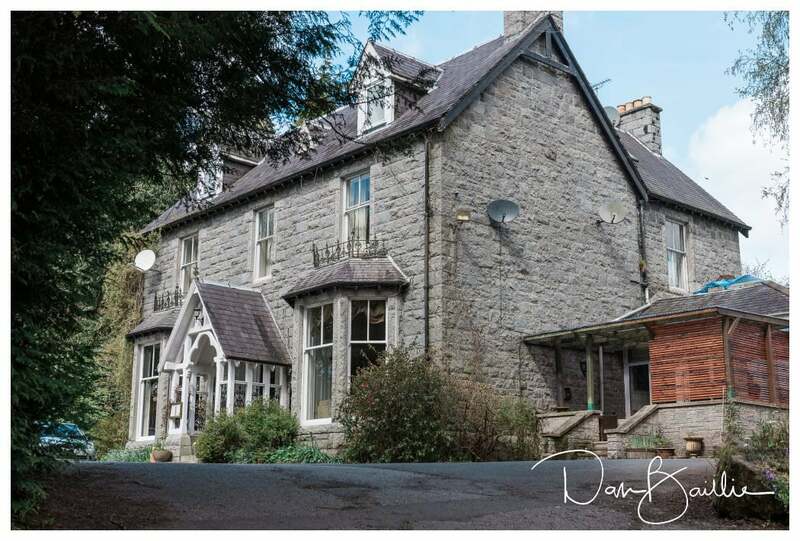 We bought our first house a month after we got engaged so knew it would be a while before we could get married but began planning and decided on an 18-month engagement before the big day. 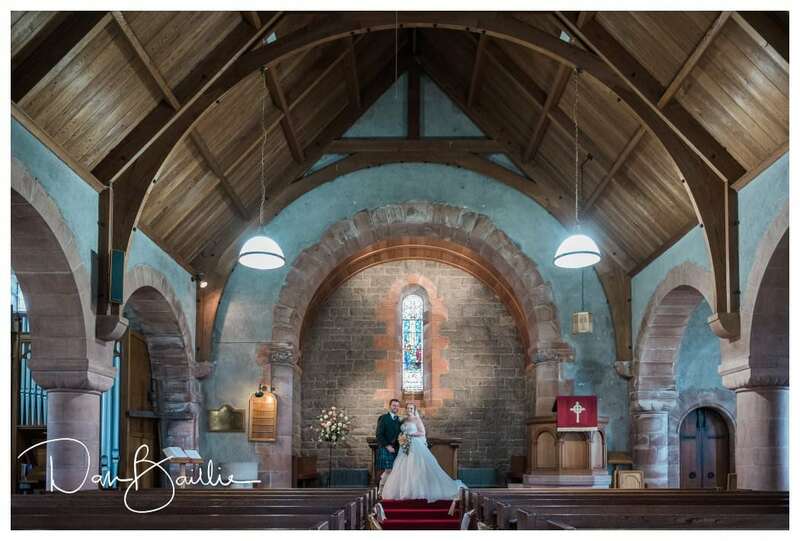 We knew we wanted to get married in a church that had some meaning to one of us so picked Colvend and this is where Mark spent his early childhood. We had a few bumps along the way but got there and it was the best day ever. 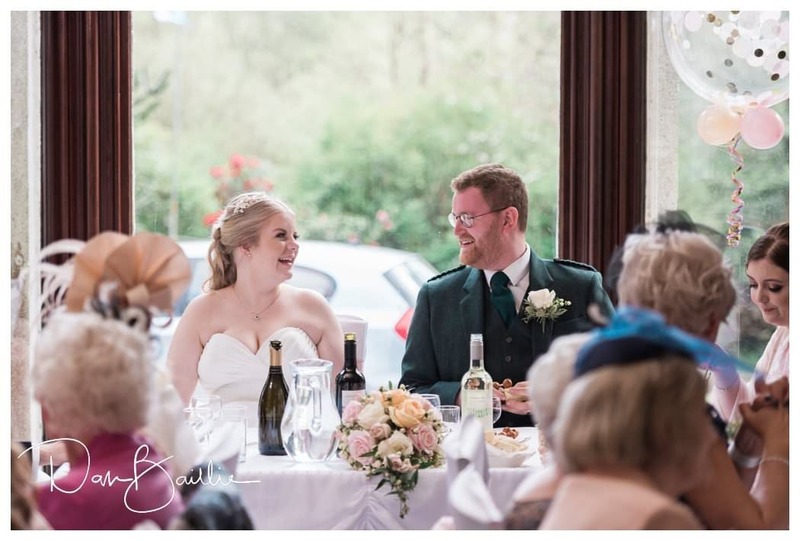 Why did you choose your venues? We chose Colvend church as this is where Mark had spent his early childhood and we wanted a church that meant something to one of us. 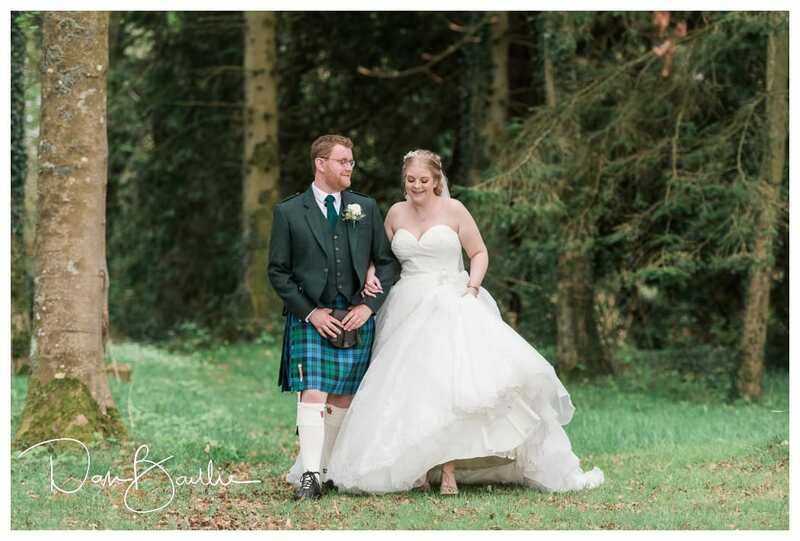 We chose the Clonyard House Hotel for our reception as this was close to the church and provided a country, cosy wedding venue that was different from the more traditional venues in Dumfries and Galloway. 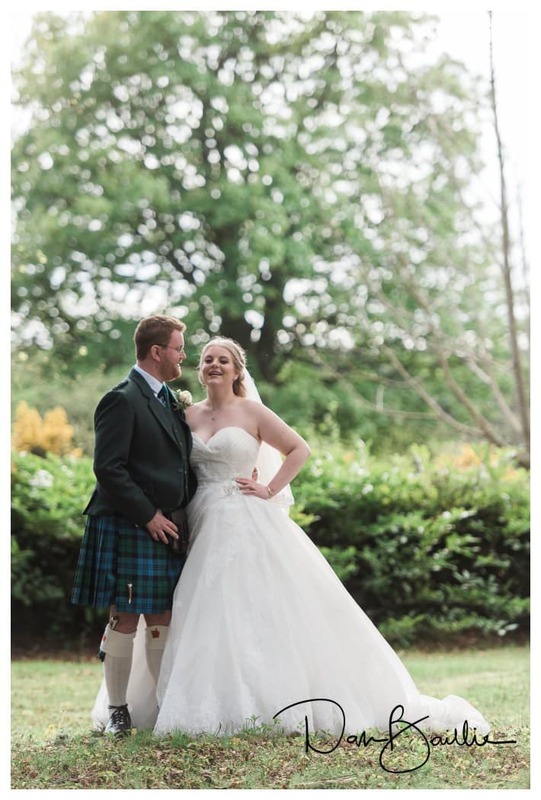 We also had several friends and family coming from out of town and it provided ample accommodation for everyone and is set in a beautiful setting providing a wonderful background for our pictures. Your outfits & accessories – Why did you choose them? What did you love about them? 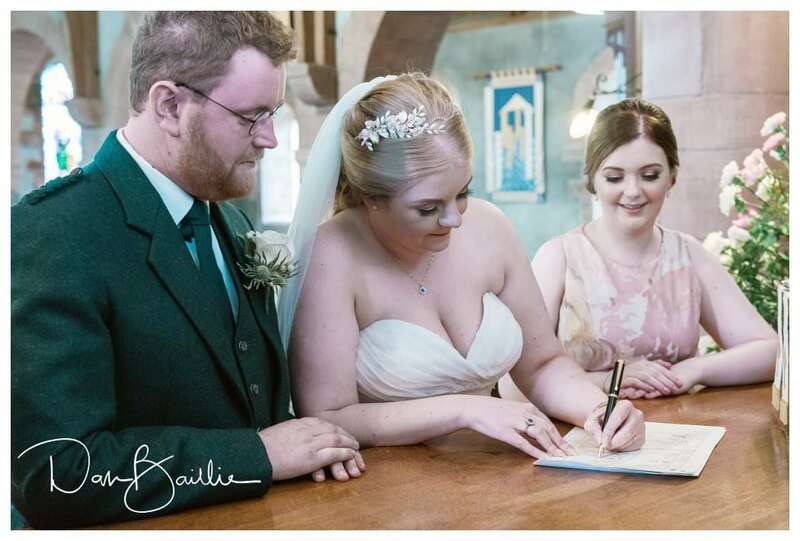 My dress was purchased from Carol’s Bridal Boutique in Carlisle and was perfect for the day. 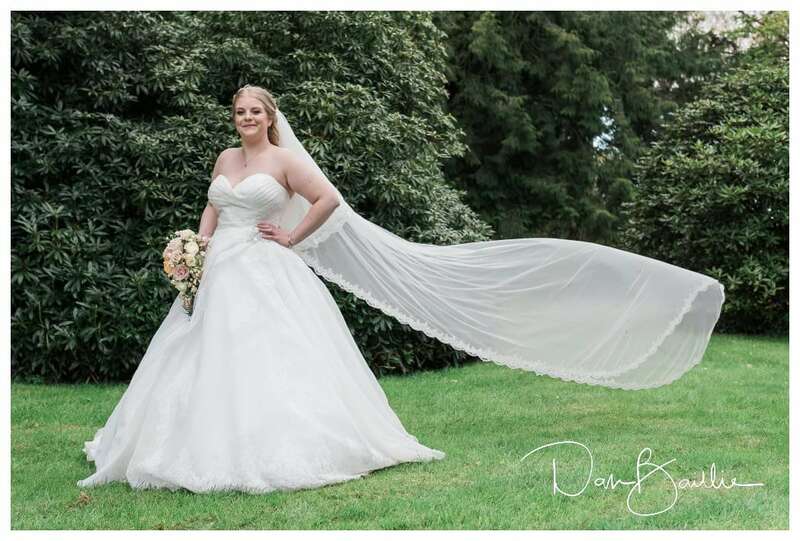 I always knew I was destined to wear a large princess style wedding dress and it certainly lived up to everything I had wanted. 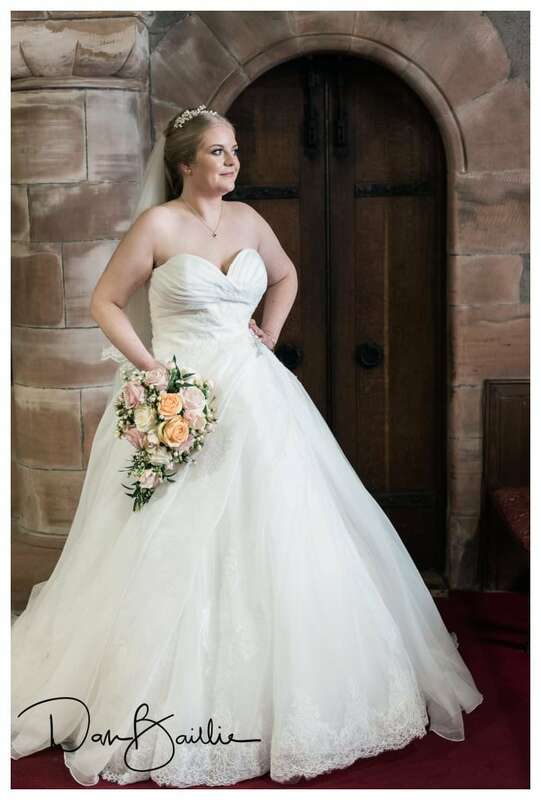 My only wish was that I had practised walking in the dress before the wedding as I struggled to walk in it without standing on the front of it. 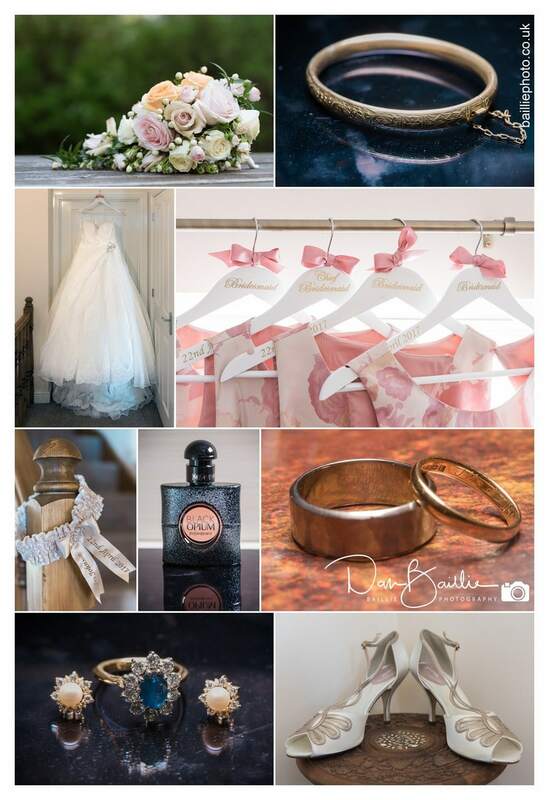 The rest of my accessories were from Etsy as they provided something different and personalised. Mark’s outfit was all his own as we decided to let the gentlemen pick their own tartan for their outfits to break away from the typical everyone in the same outfit look. Their jackets matched but that was all. 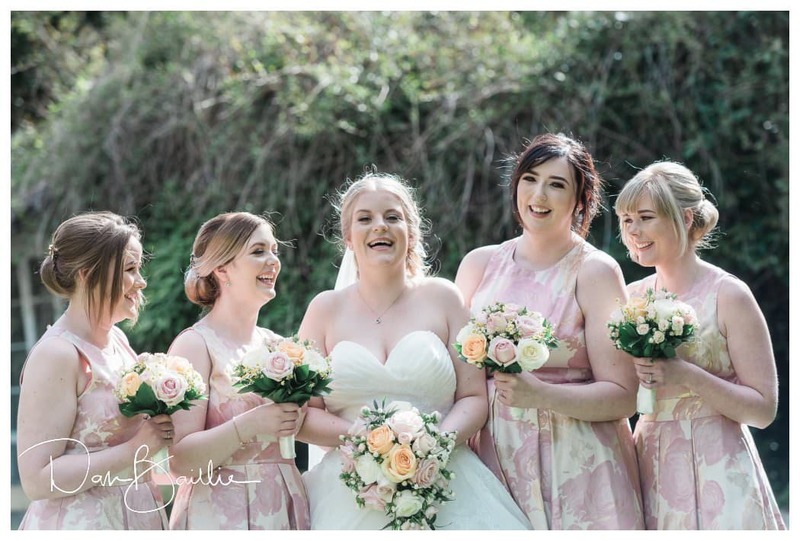 The bridesmaid dresses were from House of Fraser. 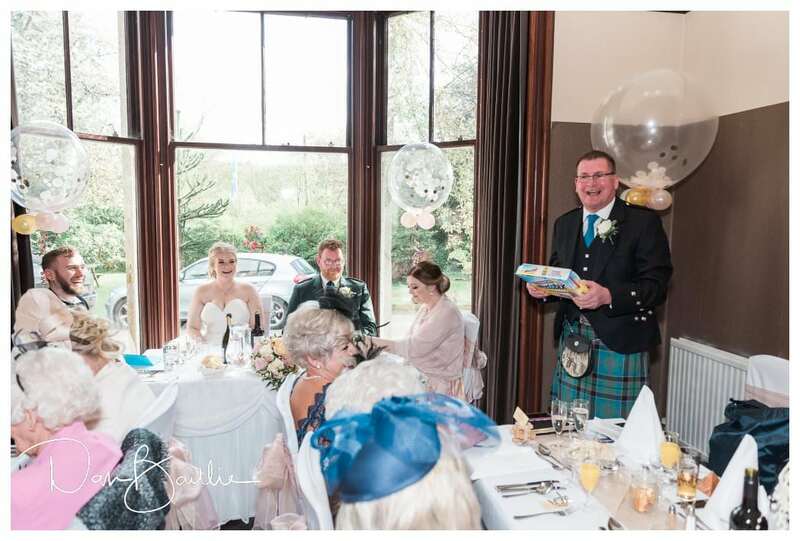 Originally I had planned to make all my own favours and centrepieces but as the wedding drew closer I realised this was not happening so we used Tantrum Events for our centrepieces, chair covers and sashes and we also ordered some large confetti balloons to place at either side of the top table just to finish the room. 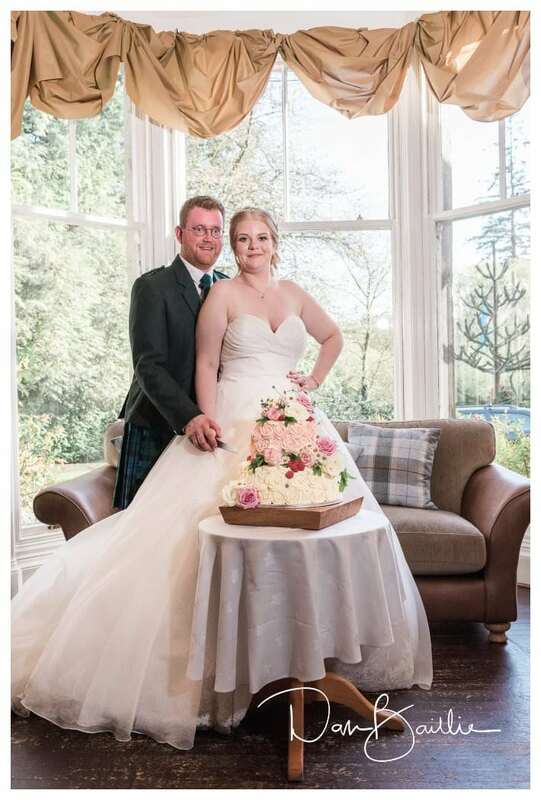 Our florist was Eden of Dumfries who was able to provide exactly what I was looking for. For favours, we opted for some little wooden puzzles for everyone which proved a massive hit and gave everyone something to do while waiting for the speeches to begin. 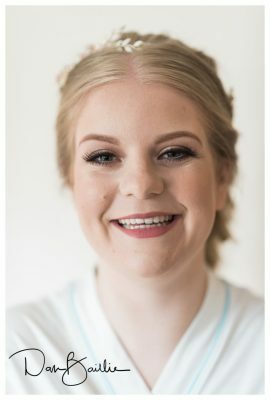 Do you have any comments about your wedding photography? 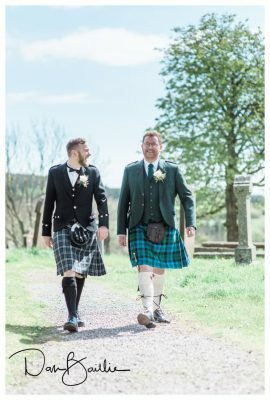 Our photography from our wedding day and from the engagement beforehand surpassed all that we were looking for. 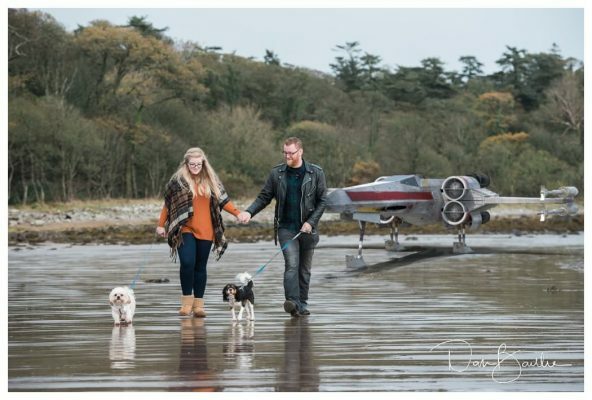 Dan was flexible and listened to what we wanted and took a keen interest in our likes and he was able to produce some amazing Star Wars pictures that have been admired by so many of our friends and family. 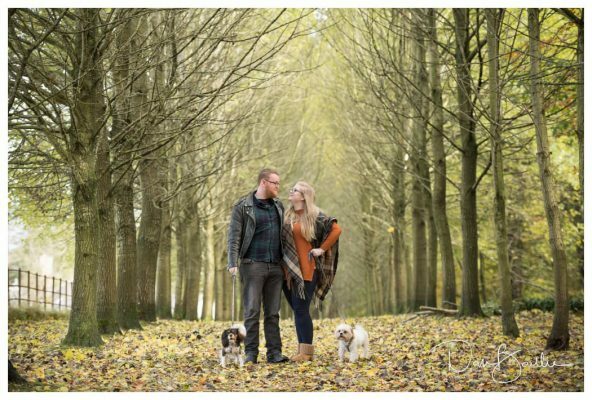 I definitely think the engagement shoot is invaluable as it breaks the ice and gives everyone an idea of what to expect on the big day, it really helped us feel at ease when getting photographed on the wedding day and made us aware of how to stand etc and the crucial two points of contact 🙂 I originally saw Dan’s work on his Facebook page and was excited by the high-quality photos that were on there. 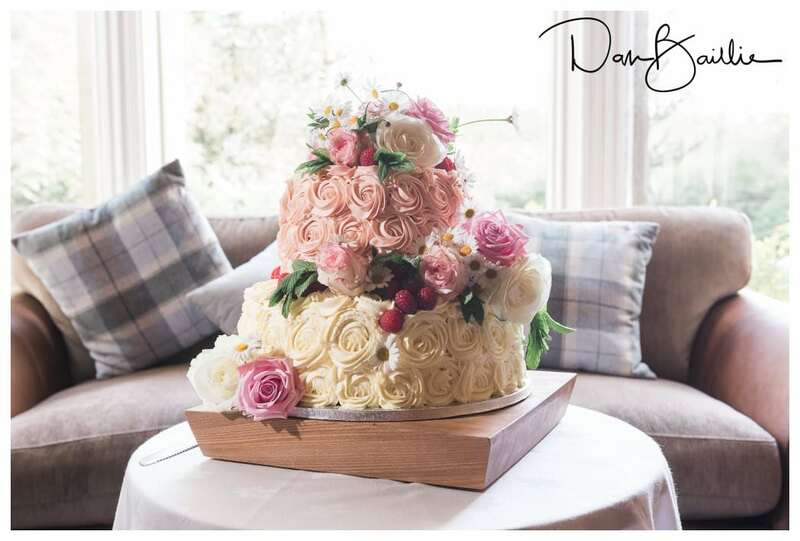 I also feel Dan’s pricing was spot on and was an excellent deal for the value of the photos we got. Our first dance was ‘Islands in the Stream’ by The Shires. We both liked this song, Mark is not a dancer so the first dance was not something we were particularly looking forward to. 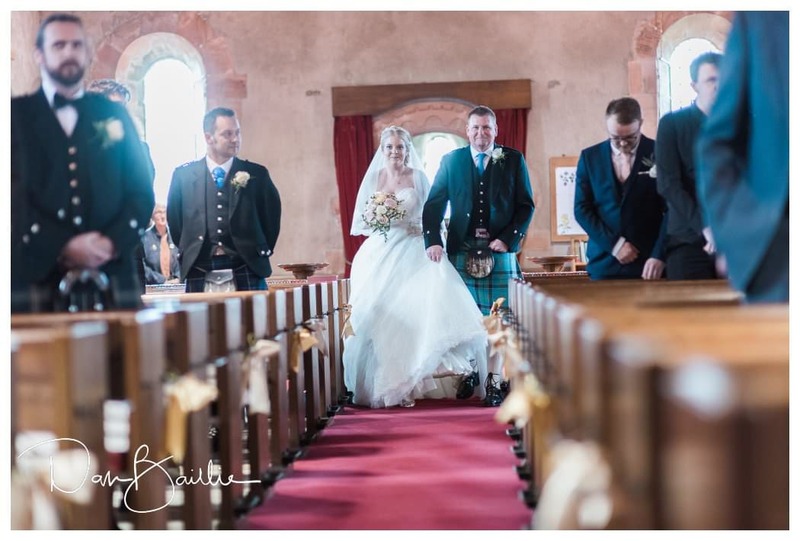 My favourite part of the day was definitely the church service and the arrival at our reception venue. 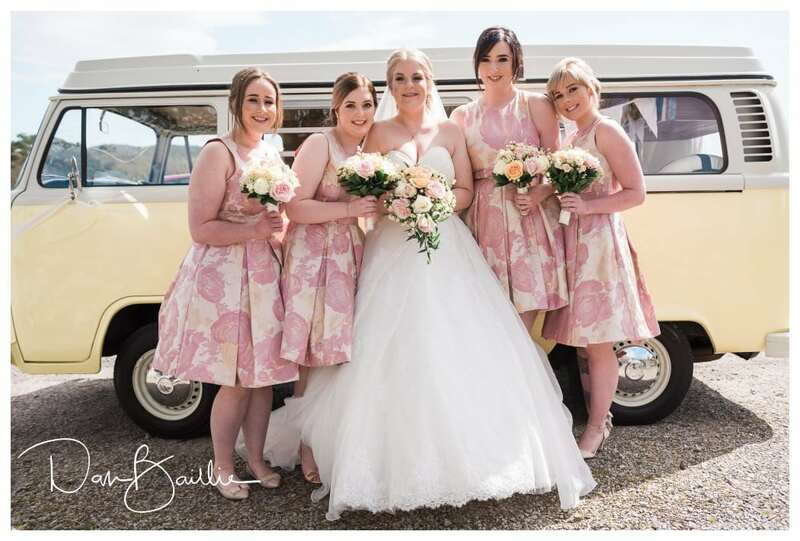 The service was so lovely and it really brought home the reason we had gone through all this planning and stress and afterwards it was so lovely to see all our friends and relatives and catch up over an ice cream as we had provided an ice cream truck instead of canapes. If I could give any advice it would be to try and not get caught up in all the little things beforehand. I stressed and cried numerous times over my centrepieces and on the day I did not look at them once. All of these little details seem so important beforehand but on the day they just do not matter, try not to lose sight of why you are doing this. 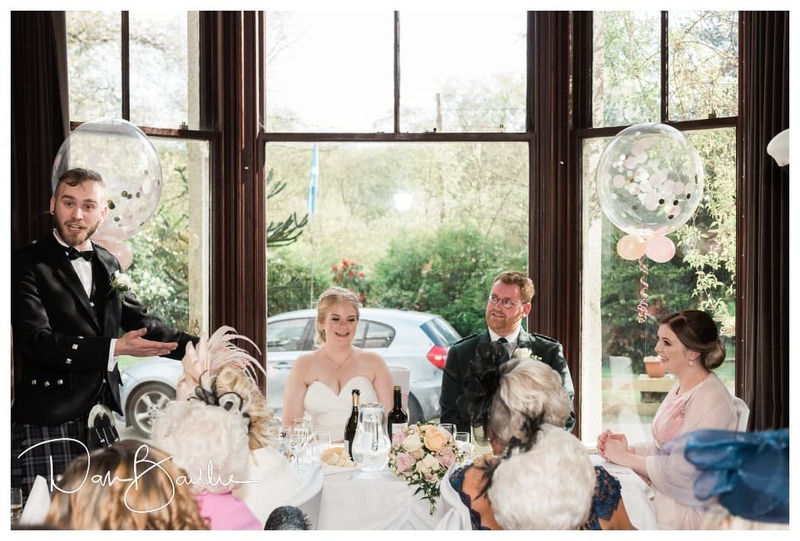 I would also say be honest about your guest list before looking at venues, we had a situation where the venue we wanted was not going to be large enough for our guests as some people had been left off of the initial list. One last thing would be to make sure you can walk in your dress. 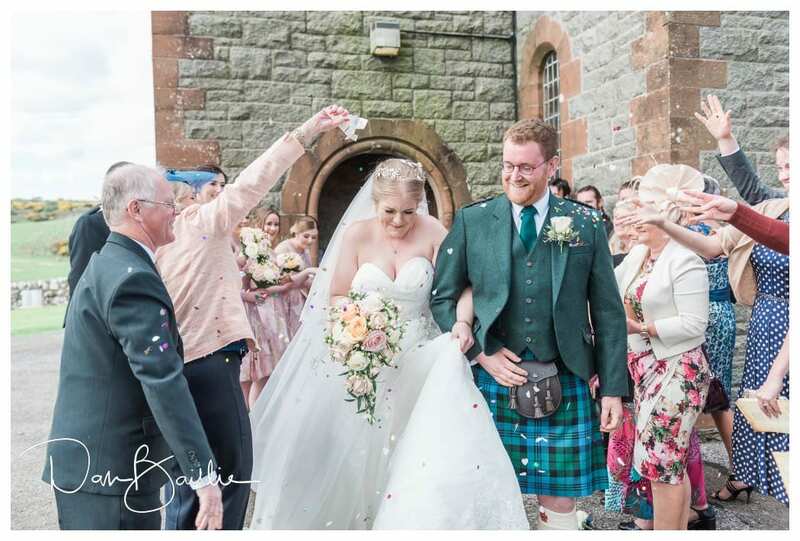 I had never properly walked in my wedding dress before I got to the aisle and I wish I had practised beforehand just to make me a little more comfortable and gracious.